This is a “10 step guide” to ending E-waste. 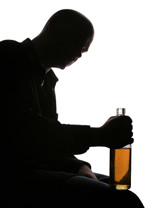 It is based on the 12 step guide from the widely known Alcoholics Anonymous (AA) program. I believe that any sort of change for the good is worth considering, and therefore, trying an old but proven formula is not necessarily a bad idea! Furthermore, perhaps coining a new term such as “Electronics Anonymous,” might create some buzz. Each step begins with an idea from this link. Then I will attempt to make a positive analogy that is not feared based. The idea is to begin with virtuous behaviour in mind and then find incentives that reward a change for the better. “Electronic waste” may be defined as discarded computers, office electronic equipment, entertainment device electronics, mobile phones, television sets and refrigerators. This definition includes used electronics which are destined for reuse, resale, salvage, recycling, or disposal. Others define the re-usables (working and repairable electronics) and secondary scrap (copper, steel, plastic, etc.) to be “commodities”, and reserve the term “waste” for residue or material which is dumped by the buyer rather than recycled, including residue from reuse and recycling operations. Because loads of surplus electronics are frequently commingled (good, recyclable, and non-recyclable), several public policy advocates apply the term “e-waste” broadly to all surplus electronics. Cathode ray tubes (CRT) are considered one of the hardest types to recycle. There has been enough commentary on the ubiquitous problem of E-waste and how to process it so let’s start with the premise that a possible solution is for all businesses and consumers to take part in a simple program that could cause meaningful change. and that our lives in this regard have become unmanageable. Ok I give up. I surrender. I capitulate. Why? I have empirical evidence in that we all have observed this behaviour: “texting while driving” !!! ??? to paraphrase the tech set…WTF? More evidence? The compulsions of “early adopters” and those obsessed with the latest gadget, app, or combination of the two; witness overnight campers the night before an Iphone launch! Enough said. Most players in this arena are hoarders of their old electronics because statistically, as a matter of fact, we only recycle about one quarter of all electronics sold. This fact alone speaks to all of us that a change in behaviour only means something good which is a sustainable future! To understand this concept all you have to do is say to yourself “what if?” Since we are speaking about addiction to electronics perhaps remembering basics morals of living without greed, envy and jealousy is a good start. One day at time….stop fantasizing about the future gadget or app. Make an inventory list! This helps with insurance claims too! Think of this: start with the end in mind. The process of this step is brutal self examination looking into the reasons why we are addicted to technology. The goal is to clearly see weaknesses so the path to modifying behaviour opens like a hiking trail with painted stripes on the trees! A public confession! Well not exactly. For our purpose think of this as karma. all held accountable for all of our actions as well as all of our words. I would say for those of us with technology addiction, that becoming a voice for E-waste ecology would be a step in the right direction. Sharing your personal E-waste ecology with your friends and family would be a good start! From AA Doctrine to EA Doctrine! to a savvy and balanced participator in E-waste ecology. Second, knowing we are ready, we ask the cosmos for guidance. How do you ask the cosmos for guidance? Easy. Stay humble. Believe in humility. Humility is the key to teachability and an open mind to the truth according to AA doctrine. When we can bring our minds to this state we are well on our way to recovery from addiction to technology. So this too can be part of the the new EA doctrine. Make a list of all your possessions that are reducible, reusable, and recyclable! Make arrangements so that you are capable of reducing, reusing and recycling everything. When you do “catch yourself” apologize immediately to all concerned. What comes to mind here is the marching orders for World War II allied forces. My father-in- law who fought in the Battle of the Bulge said all soldiers orders were to stay alive and keep moving. So in life we can stay more alive by reducing, reusing, and recycling and thereby have a dual purpose of moving and growing sustainably into the future!